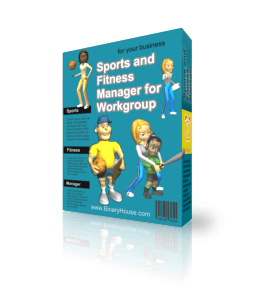 This is a more powerful version of Sports and Fitness Manager, with all of the features of the standard version, but with the additional capability to share data in real time over the network. A comprehensive solution, the program allows creating the database and events planned. 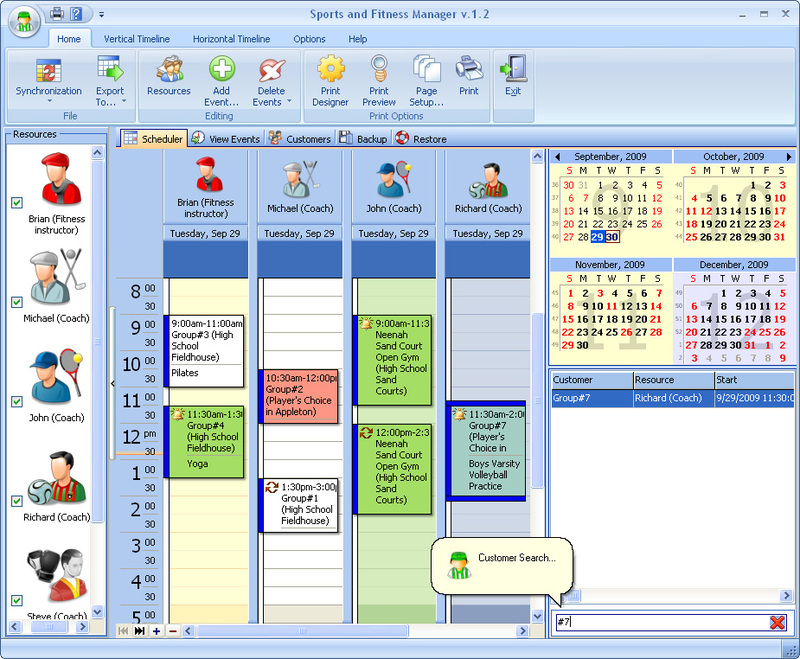 It is absolutely essential for coaches, fitness instructors, aerobics instructors, group exercise instructors, fitness coordinators, scuba diving instructors, trainers and team leaders, as it provides them with a tool to organize the business and to manage it effectively. It’s perfect for coaches, instructors and trainers to plan working hours so that the practice or lessons do not overlap with someone else and keep track of scheduled appointments. It’ll store the information about clients, such as their address, health and emergency data, personal notes, family data, membership fee and renew dates, comments. Add as many comments as you wish. But just imagine how wonderful it would be, to have at hand all the information you need! That’s when the program comes in especially handy. The program gives you a customizable Date Navigator and comprehensive reminder. It’s highly flexible, allows changing time intervals, creating numerous profiles and viewing multiple schedules at a time. For those people, who work in Microsoft Outlook, it’s possible to export data. Export of data is available to different formats: iCal, XLS, TXT, HTML, XML for its adaptation for other programs. Reports can be exported to PDF files. You can easily customize various export, pagination, and document settings via a built-in PDF Export Options form. When you need a printout of your schedule, you’ll certainly appreciate the powerful Print Designer. It’ll help you to print your schedule in the most convenient form, choosing from a number of templates. In case of crashes or virus attacks, there is an auto backup function with a possibility to remove old archives automatically. Powerful software to make your business more efficient!